We provide complete construction services for your project, from design to completion, with over 35 years of residential remodeling experience in Monmouth County. For almost 40 years, Conniff Construction has been providing outstanding commitment & craftsmanship. Regardless of the project's nature, our team devotes their full attention to every detail. Gold Standard Bathrooms, LLC is your one-stop destination for all-inclusive bathroom renovations! Our projects feature the latest, industry-leading products, designs, and value. We offer our customer services from the planning, designing, building & remodeling stage. 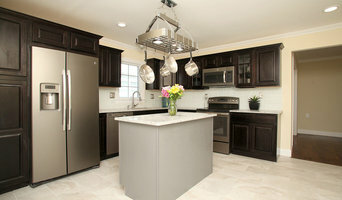 Projects from complete home/condo renovations to kitchen & bathrooms. Monmouth County's Expert Home Builders For Over 20 Years! 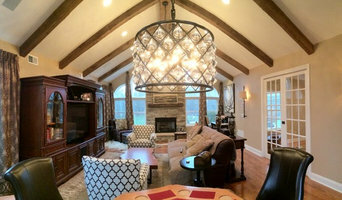 NJ's Top Home Improvement & Renovation Contractor - 5x Best of Houzz! We are a family-owned business with over 20 years of experience and one of the leading construction companies in New Jersey for home renovation and remodeling needs. Since being founded by Anthony Cammallere in 1980, T&K Contractors has set out to provide New Jersey homeowners in with the highest quality home remodeling, construction & superior client services. Douglas VanderHorn Architects is an architecture firm specializing in residential design within a diverse and distinguishing collection of styles. Drawing on an accomplished career spanning three-decades, Douglas VanderHorn creates transformational alterations and distinguished new homes by focusing on the goals and inspirations of each individual client. Founded on careful analysis and excellent planning, each VHA design incorporates innovative building technologies, modern conveniences, and tailor-made features into architectural solutions which are elegant, imaginative, and captivating. Douglas VanderHorn Architects comprises highly dedicated associates with specialties ranging from Classical architecture and historic preservation, to building science and sustainable design. In addition to in-house staff, the firm maintains a network of talented landscape architects, interior decorators, engineers, specialized consultants, contractors, craftsmen and artisans whose experience is called upon as required for each project. While the firm has been involved with over 150 successful projects in various parts of the country, Douglas VanderHorn Architects continues to focus on opportunities to craft beautiful traditional residences in Connecticut and New York. 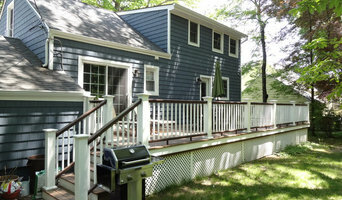 Len's Remodeling and Contracting Services is a full service remodeling, renovation and repair company that has become the go to in the greater Central New Jersey area for high quality craftsmanship. Finished basement NJ owned by Pat Gagliano is a Central Jersey based business that specializes in framing a basement to custom orders of all sizes and styles. We work hand-in-hand with our clientele to formulate viable design solutions. We spend time to develop a relationship, not only to create something specific to their needs but work within a budget. Ben Herzog Architect, PC would love to hear about your project and help you create the best results possible with spaces designed specifically for the needs of you and your family. Whether you plan to gut renovate a townhouse, maximize the efficiency of your apartment or open your living space to the outdoors, BHA can help. Each client brings different goals, priorities and budgets to a project. We believe that the architect’s role is not to dominate the process, but rather to guide it to completion with the client’s top priorities in mind. This successful collaboration between client and architect will result in gracious, efficient and comfortable spaces in which to live and work. BHA offers full services for our clients from pre-design through the completion of construction. We specialize in brownstone and townhouse renovations and additions as well as co-op and condo renovations. Our Interior Designers also offer full interior design and decorating services. Jordan Rosenberg Architects & Associates is a Ridgewood, New Jersey Based Architecture firm specializing in the design of high-end residences, home additions, luxury townhouses, major educational facilities, and projects of all sizes and degrees of complexity. We strive to create architecture, which satisfies the highest aesthetic and functional standards while incorporating the functional and economic requirements of our clients. Our projects require various services including complete architectural and engineering services as well as construction management services. Our clients choose us because of our expertise and dedication to client service. We surround ourselves with outstanding talent; both in our staff and in the people with whom we do business. As a team, we strive to allow the best solutions to rise to the top. Whether it’s updating a kitchen, adding a bedroom or constructing a new house, Tony helps clients navigate the daunting building process & come up with design solutions that reflect their lifestyles.